An exotic assortment of palm trees, shallow river and deep blue sea. 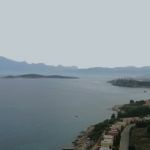 Enjoy the beauty of this exotic sandy beach once you are still up on the mountain. The descending is rewarding when you reach down the beach. 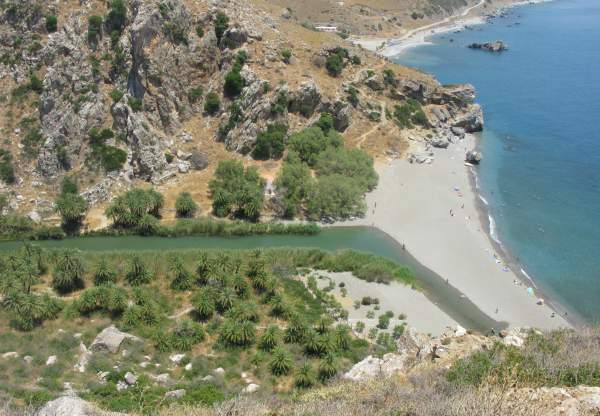 Not far from Rethymno and after a drive through the mainland and across the Kourtaliotiko Gorge you approach Preveli. The winds within the Gorge are always strong. Take a short break to relax by the stone bridge or at the parking place within the gorge on the main road. At the end of the road you will reach the Preveli Monastery. 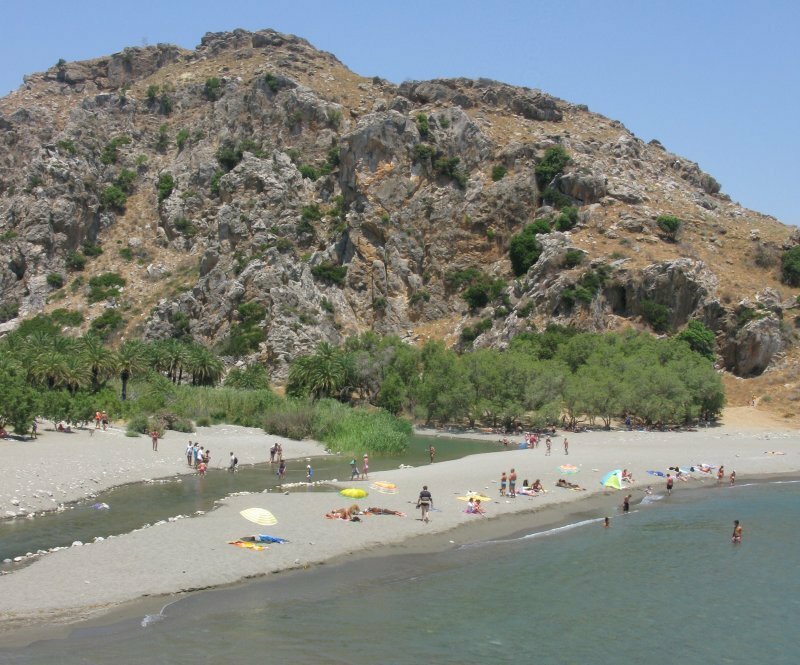 You can visit the old Monastery of Preveli before you walk down the mountain to reach the beach. 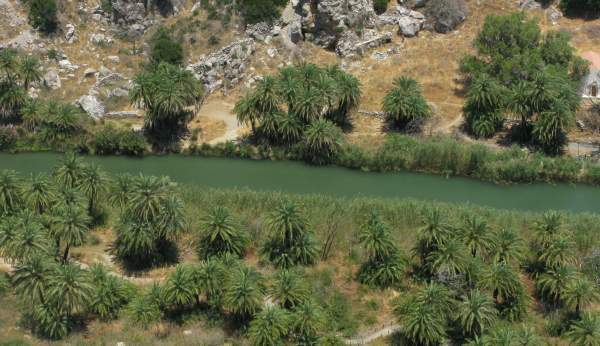 The view from above is magnificent, as you see the palm trees along the river and the river flowing into the sea. Make sure you wear trekking shoes, as rocks here can be slippery. Once you get down the first thing to do is to dive into the clear waters of Southern Crete. 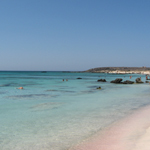 It is said that water here is saltier and cooler than in northern Crete. 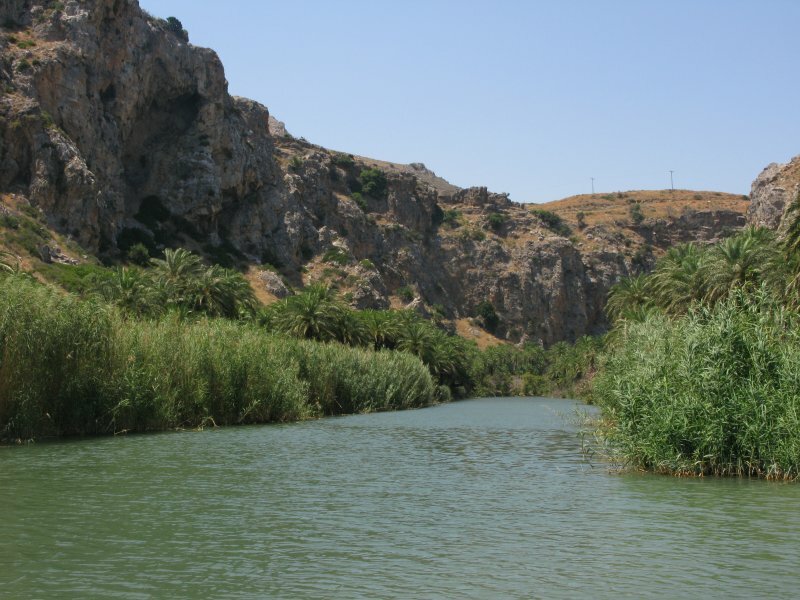 The river gives an additional interest to the scenery. The water in the river on a hot summer day can be warm, while in the sea it is always cool. There are umbrellas and sunbeds and one canteen to quench your thirst or satisfy your appetite.